We’ve all heard the word on the fitness street, it’s generally bounded around the office in hushed whispers, “breakfast is the most important meal of the day”, that’s what they say. It may hold some truth (we’re going to dig into this another day), but one thing is for sure, eating the wrong kind of breakfast may be doing more harm than good. Let’s think about it, what is a healthy breakfast? Well, it’s one that contains protein, fibre, healthy fats, and wakes you up, giving you energy for the day ahead, and helping you feel full. On the flip side, an unhealthy breakfast is one that slows you down, piles on the weight and increases your risk of developing illness and diseases. These unhealthy breakfasts may not be so obvious either! You’re likely consuming them every day and you’re none the wiser. We’ll pull out the top 3 breakfast munchies that you should be wary of in the morning. We know, we know. Who would have thought that breakfast cereals were bad for you! After all, Tony the Tiger is so strong, and Snap, Crackle and Pop were always full of energy. Unfortunately, great marketing means that health claims such as multiple vitamins, high calcium, whole grains, etc, appear genuine to those who don’t know. In fact, you wouldn’t be blamed for thinking your bowl of Frosties was actually good for you. These boxed up morning appetisers are usually highly processed and actually have very few whole grains they shout about. On top of that, nutrients that seem genuine are in fact added to the cereal separately, through a process called fortification. 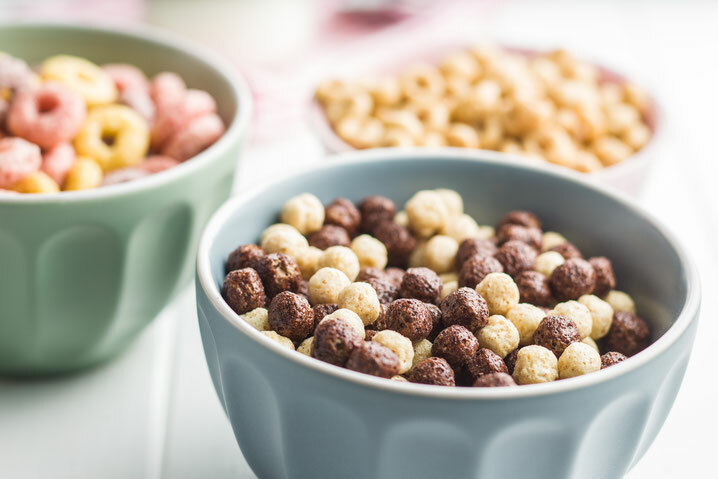 High levels of sugar are also a common theme among cereals, and if you check the label, and sugar is towards the top of the list of ingredients, best to swerve that box, as the higher on the list the sugar features, the greater the quantity. High sugar intake leaves you more likely to develop type 2 diabetes, heart disease, obesity, and many other health conditions you wouldn’t want. Oh yeah, that’s right! We’re about to ruin toast for you. 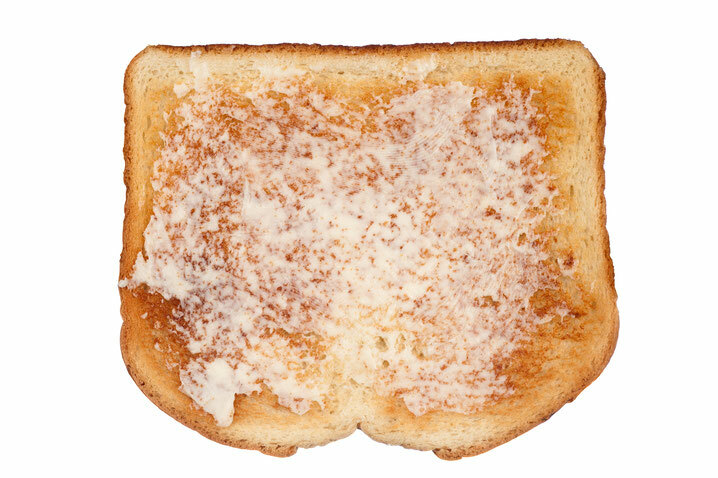 Only kidding, but we are going to raise awareness of toast as a daily breakfast routine. Okay first, the flour in the bread has been processed to the point where fibre and nutrients that it contains are almost none existent. These highly refined carbs that are low in fibre can cause your blood sugar to raise at a rapid rate. These elevated sugars can cause you to feel hungry shortly afterwards and the obvious issue there is increased weight gain. Secondly, the margarine contains high levels of trans-fats, also known as the worst type of fat ever. Studies have shown that those that consume trans fats are more likely to be at risk of various diseases, including heart disease. Even when the margarine says “trans-fat free” you’ll be shocked to find out it does still contain trans-fats, it’s just less than 0.5g per serving. Well here’s the kicker, it isn’t necessarily bad for you (depending on how/what you consume) but a lot of the juices out there, unbeknownst to us, have very little actual fruit in them. The juice is actually pretty much all corn syrup and sugar. High-levels of sugar of course means your susceptible to diabetes and obesity, but it can also cause metabolic syndrome and other diseases. 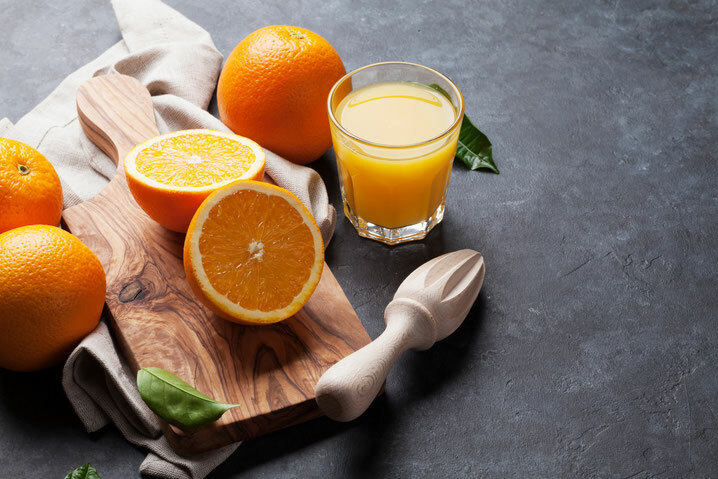 Even 100% fruit juice can contain a lot of sugar. Fruit juices can actually contain as much as a fizzy can of pop. The best thing you can do is double-check the labels of your favourite juices and try to moderate what you drink. To sum all of this negativity up, the best thing you can do is check what you’re eating and try to avoid foods that are full of sugar and won’t do you any good. There are healthy options out there, and we’ll post some alternatives for you in our next blog. 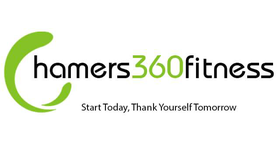 If you’re struggling with weight gain and you aren’t sure if what you’re eating is any good for you, just give us a shout at your next boot camp or personal training session and we’ll be happy to go through them with you.